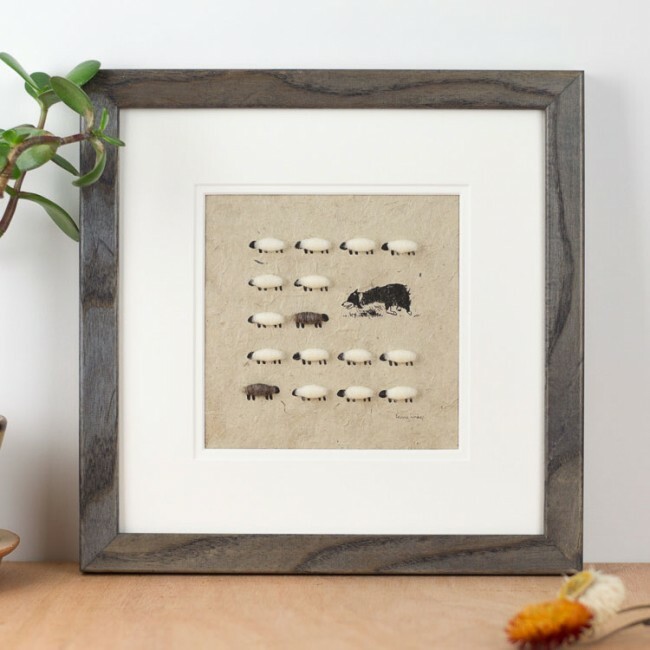 Our border collie herding sheep print is a perfect gift for a shepherd, or sheep lover. Herding sheep, or chickens, or children, is what border collies excel at. 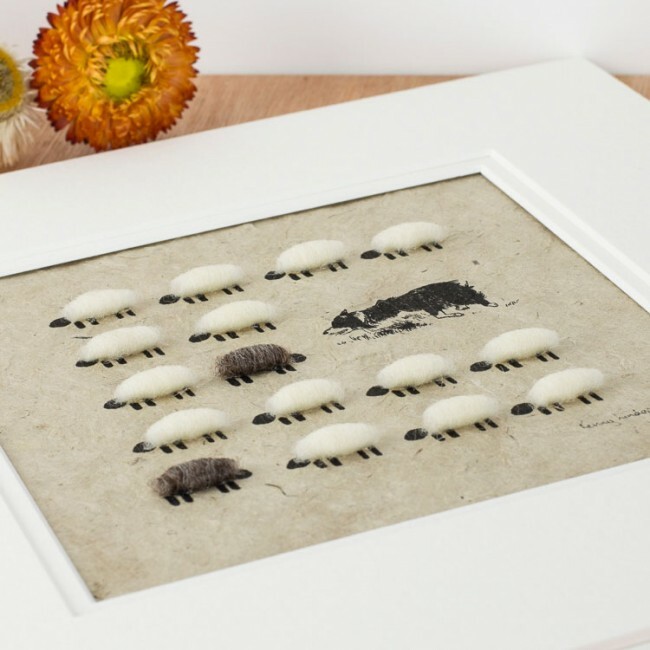 This one has herded this flock of sheep beautifully. 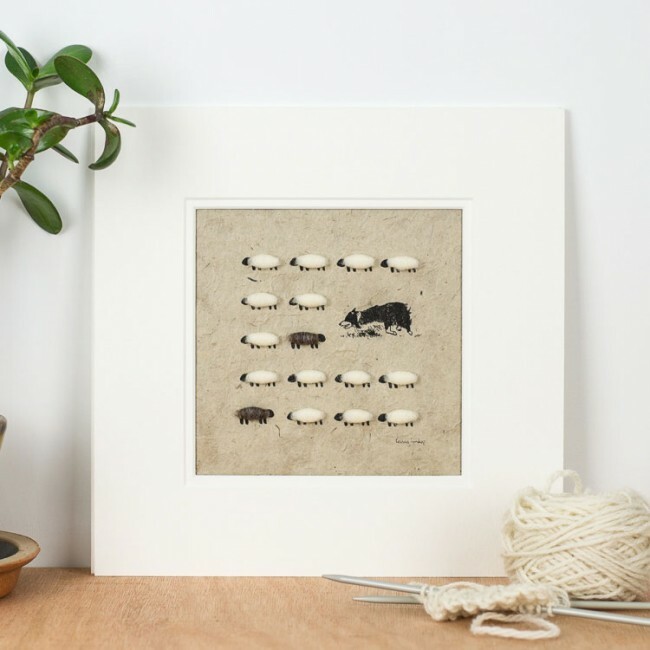 This sheep picture is an ideal border collie gift for anyone who is passionate about these amazing dogs. 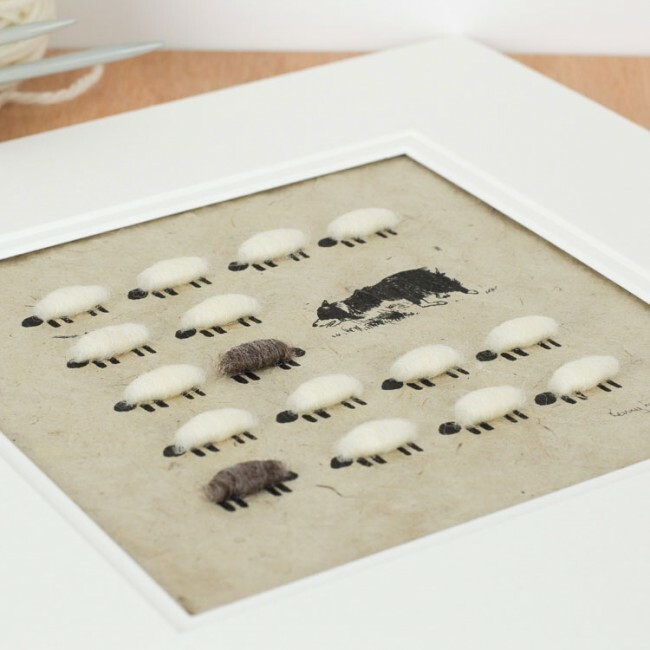 The sheep are hand finished with real sheep's wool. Printed on an acid free archival paper made in the UK, giving a nice crisp finish. The mounted print size is 25.5 x 25.5 mm (10 x 10 inches). We offer a framing service for this picture, in either a natural oak or an ash frame stained a charcoal grey colour. 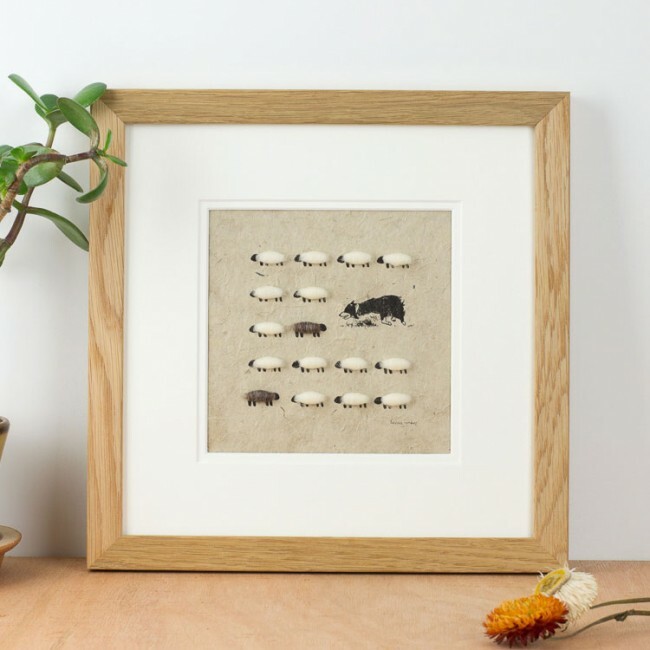 A simple moulding that really suits the artwork.